Avid hunters are always jacked about the start of a new hunting season. Wedding attendees tend not to be as excited about the “opening day” of wedding season. Although, weddings are often a lot of fun. But men let’s be honest, you don’t really enjoy attending an outside wedding during May-August, especially if you have to wear a suit or tux. B/c it’s HOT! But we all suffer through the heat in order to be a good friend, family member and more importantly to share the day with our beloveds. If you can’t tell, I’m writing these positive things about the hot weddings because I need the reminder. This coming Friday I will be at an outside wedding here in Gettysburg, and then next Friday I’ll be in an outside wedding in Alabama. I need to remind myself to be a good friend and not complain. I’m excited for Bryan and Megan, and my long-time friends Matt and Holly,but I’m also super excited about the people I get to see because of these weddings. If the Lord wills, I’ll get to see my family! I haven’t seen any of them since Decemeber. I’ll get to see friends from childhood. I’ll get to see friends I’ve made over the past 5 months. I’ll just get to see a lot of people that I love and appreciate and I’m looking forward to it. So that is what is coming up over the next couple weeks, now for a recap on what’s been happening. The past couple weeks can be summed up in this simple statement by Willie Nelson, “on the road again”. Last weekend, I was in Washington, NJ attending their gospel meeting with Bob James. Embry Hills people, Bob and Anne are doing well and they say that John, Vivi and the kids are as well. It was good to see the James’ again. Bob presented the same series that he did for us at Embry Hills last year from the book of 2 Peter. While in Washington, I stayed with one of those close friends I have made in the past several months, Dan and Heather Bunting. Dan is the evangelist for the congregation in Washington. I met Dan last summer at the Young Men’s Leadership Camp in upstate New York. We just became pretty good friends in a short time and I had seen Dan several times since the camp but I had never met his wife Heather or their 2 kids (Jack and Thomas) until last week. And I really enjoyed spending time with their family. What’s semi-crazy about the whole thing is that I had never met Heather until a week ago from this previous Sunday, when we were traveling back from Albany, NY and worshipped with the group in Washington on Sunday evening. 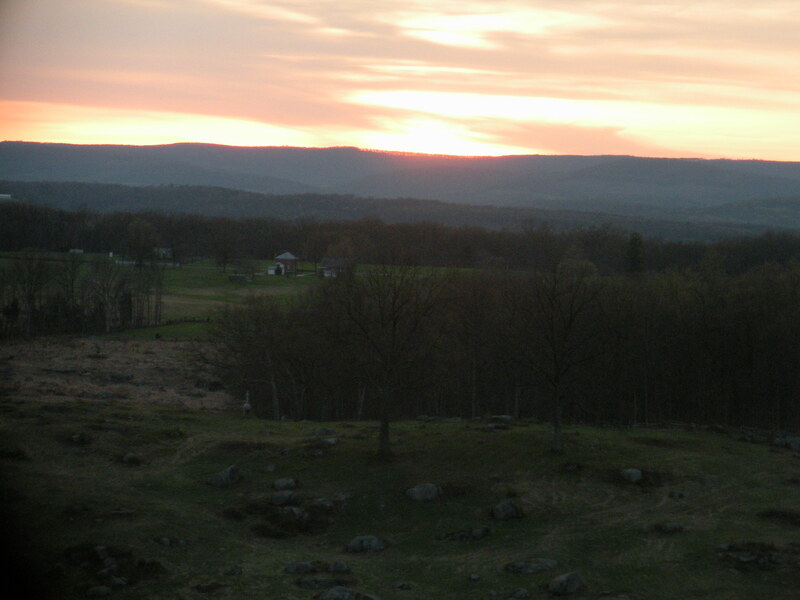 As the story goes, Dan and Heather were going to be in Gettysburg last Tuesday and Wednesday to study with Scott about an all-day study we are planning in September. And then I stayed with them Friday night and hung out with them all day on Saturday. So I went from having never met Heather and the kids to getting to spend 5 out of 7 days with them. I thoroughly enjoyed the weekend. The previous weekend was our camping trip. There were 6 of us who went, Tim Bunting, Megan Duke, Ashlee Redd, Tim Wells and Trevor Wilson. I can’t speak for everyone but I had a blast. We got really wet on Friday night and didn’t get to hike the trail we had intended but we still enjoyed the weekend. The camping was fun and great, but worshipping with and speaking for the group in Albany was a huge encouragement. It was great to see the brethren again. They seem to be doing well and excited about the future. It was a really good weekend. I’ve rambled on enough today, but I do have one request…if you’ve made it this far down the post: pray that I step outside of my comfort zone consistently. I need all the help I can get in being able to do accomplish this. I hope that all is well wherever you may be.